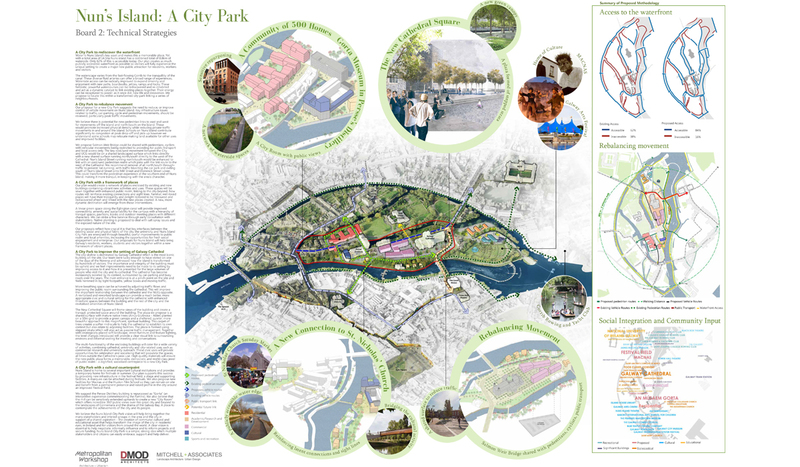 DMOD and Metropolitan Workshop worked together on this masterplan project for Nuns Island. 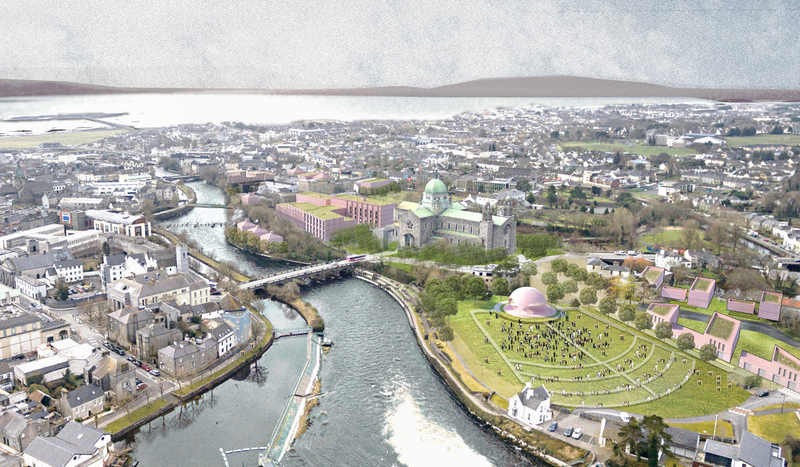 In the masterplan we proposed that Nuns Island becomes a new “City Park” enhancing and intensifying the experience of this part of Galway based on the Island’s natural and spatial qualities that help generate the city’s overall identity. 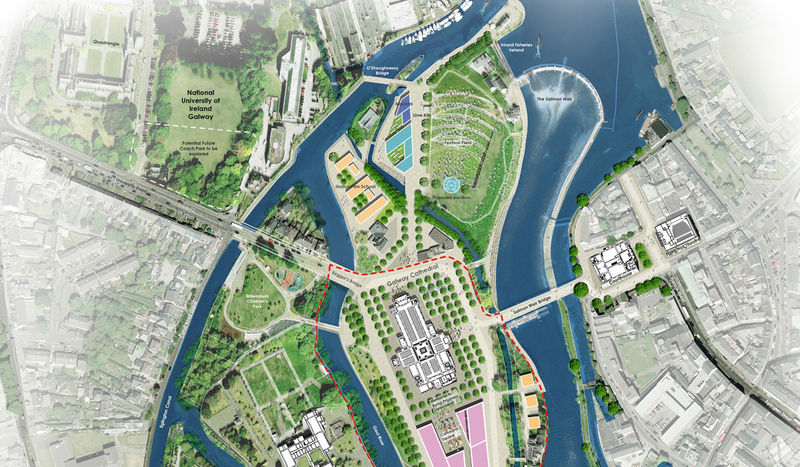 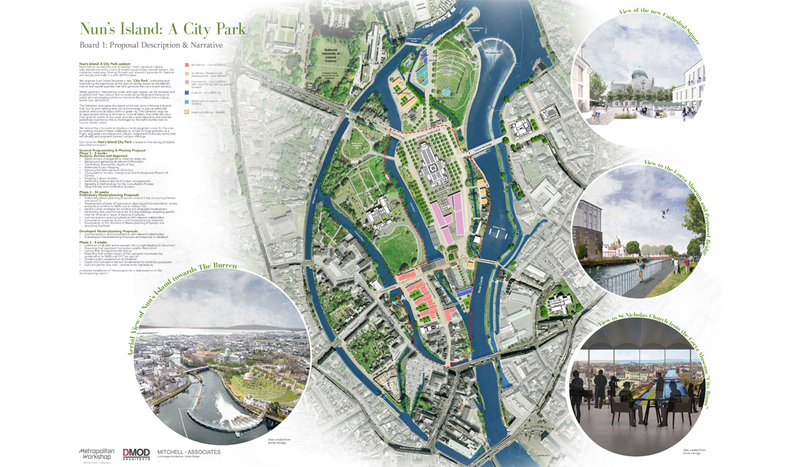 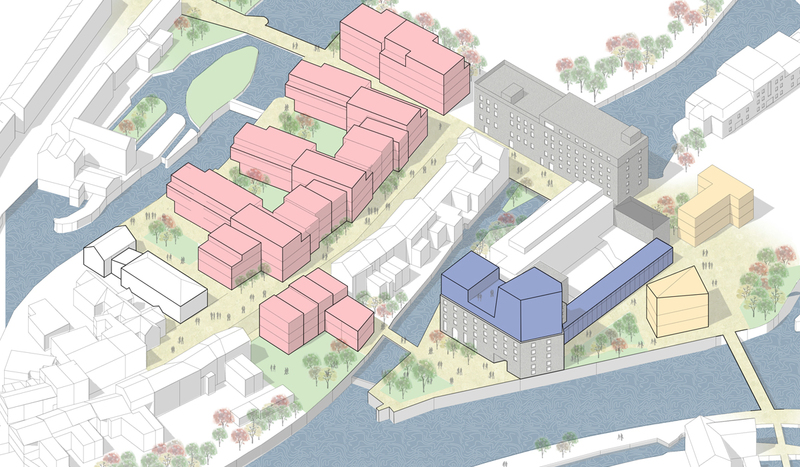 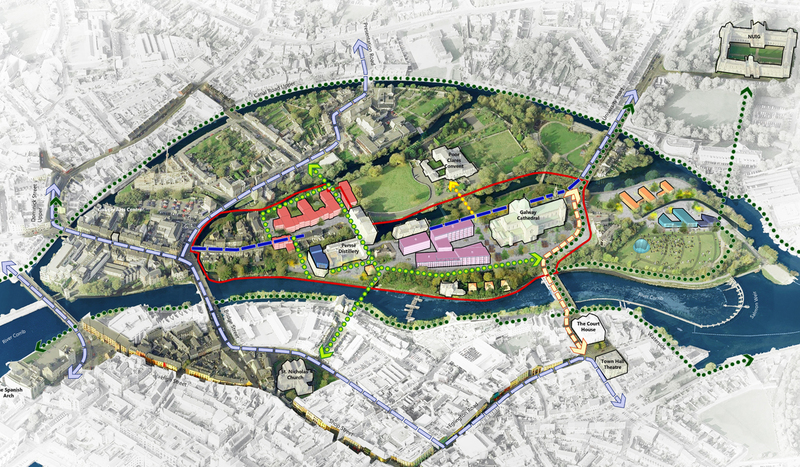 Water, greenery, meandering routes and open spaces to be renewed and inhabited with new cultural and recreational buildings and interpretive public art encouraging activity to transform Nuns Island into a unique, world-class destination. 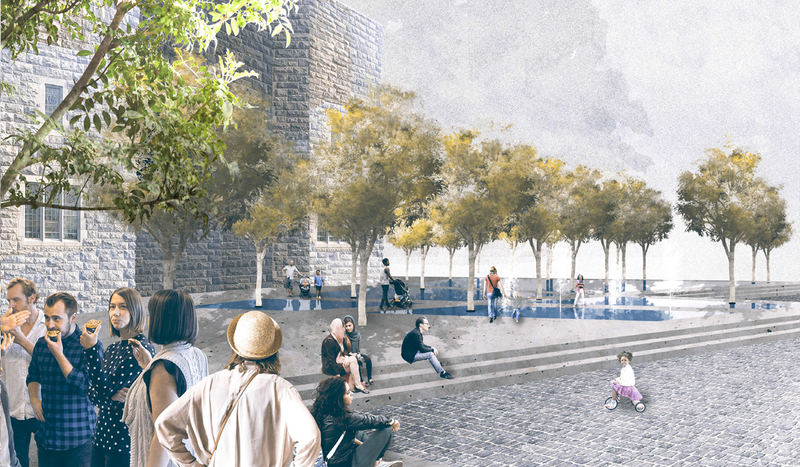 The Cathedral requires an appropriate setting to its historic, cultural status. 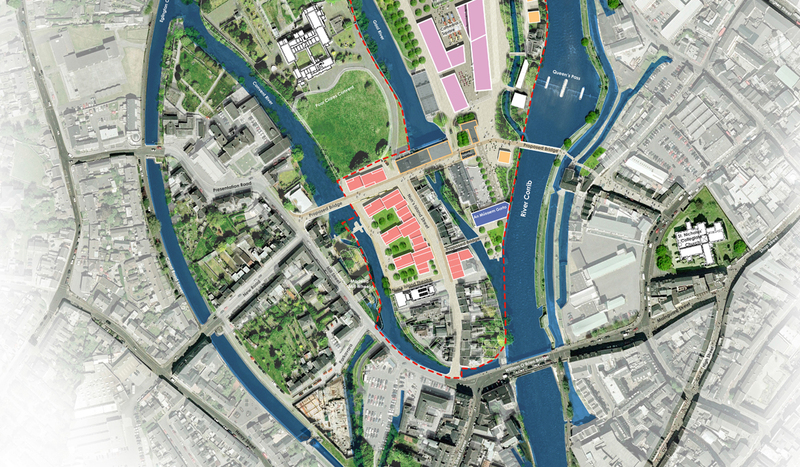 And while the city’s finer grained streets to the south provide a more attractive and intimate pedestrian experience, this is challenged by the traffic bottle-neck its narrow streets create.